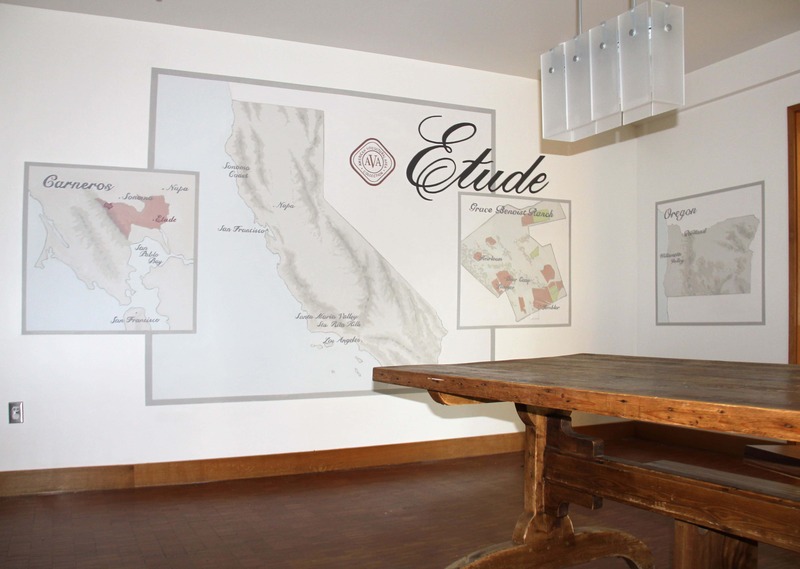 I was such a lucky duck to enjoy a beautiful week in Napa this month, painting in the private tasting room of Etude Winery. 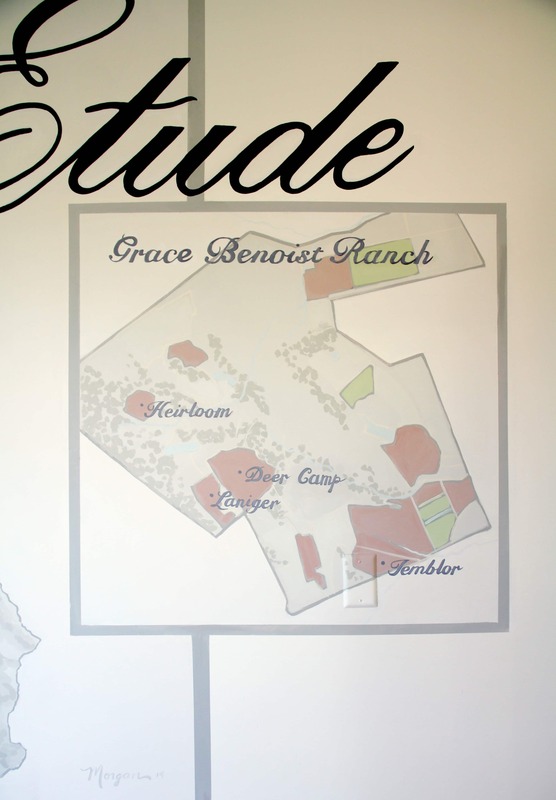 I had an expert team to work with, including art consultant Freda Scott and Lisa Wright, who manages all the creative for the parent company, Treasury Wine Estates. 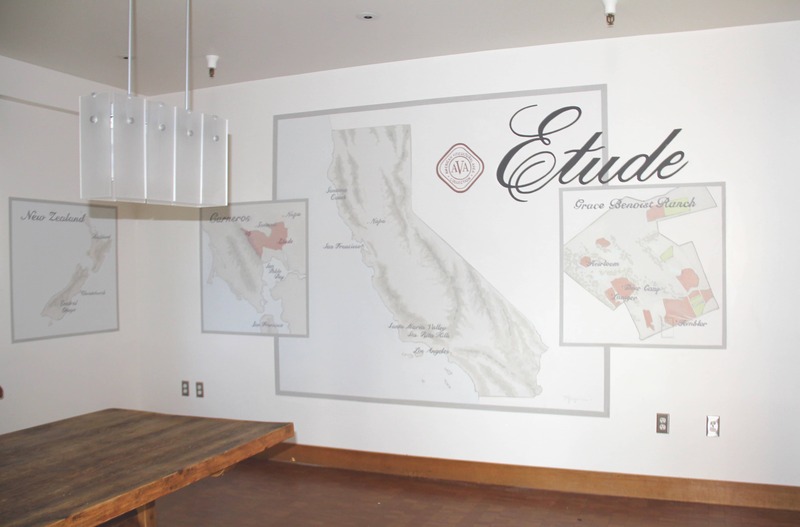 The maps blend art and function. 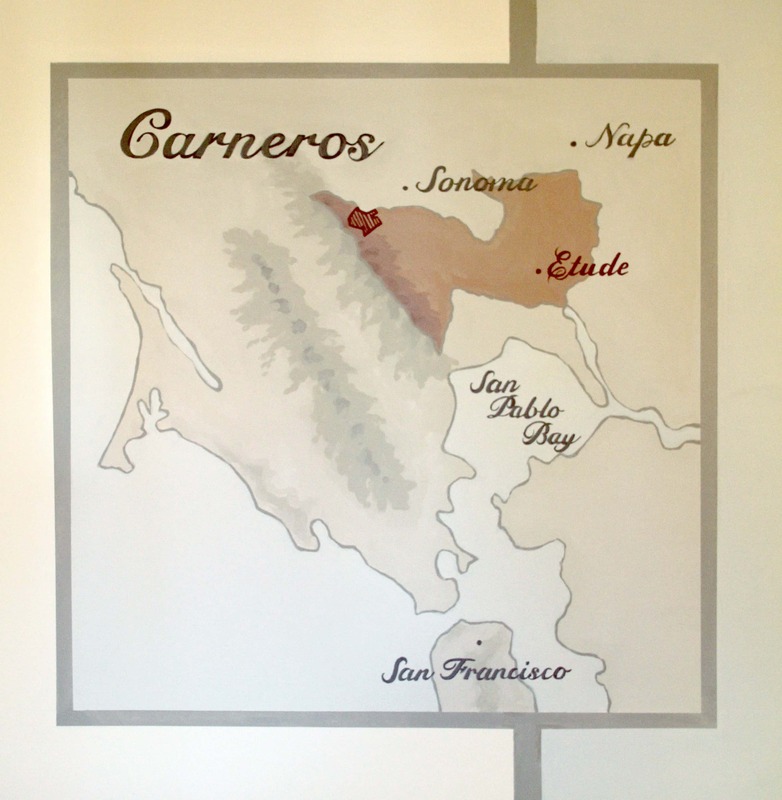 The winemaker will use the artwork in the private tasting room to explain to wine enthusiasts how terroir, the natural environment in which a particular wine is produced, contributes to the aromas and flavors of the pinot grapes. I am glad there was not a quiz at the end of the project! 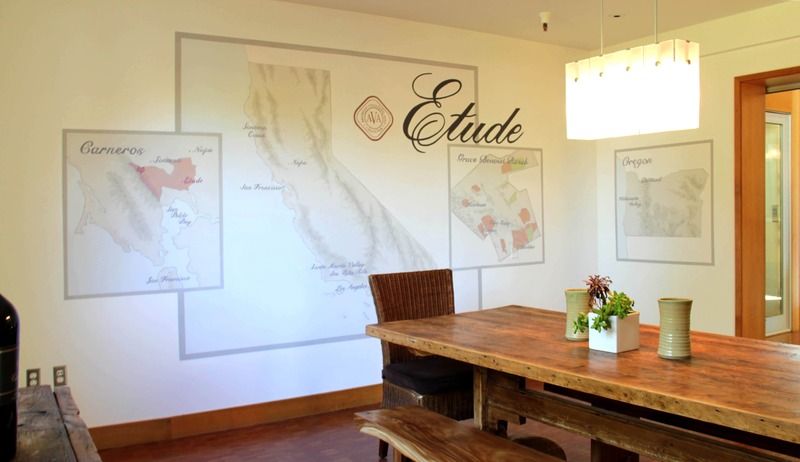 For more information about this mural project, read my blog post Etude Winery and Commercial Success.